Photography by Bob O’Connor Photography. 124 Chestnut Street is the first new-construction townhouse to be built on Beacon Hill in the past 50 years. This private four-story home comprises 3,650 SF of living space, including a bi-level courtyard and roof deck with panoramic city views. The proportions of the facade were modeled on the building that stood on the site for many years, including the unique, large loft-style window at the center of the composition. 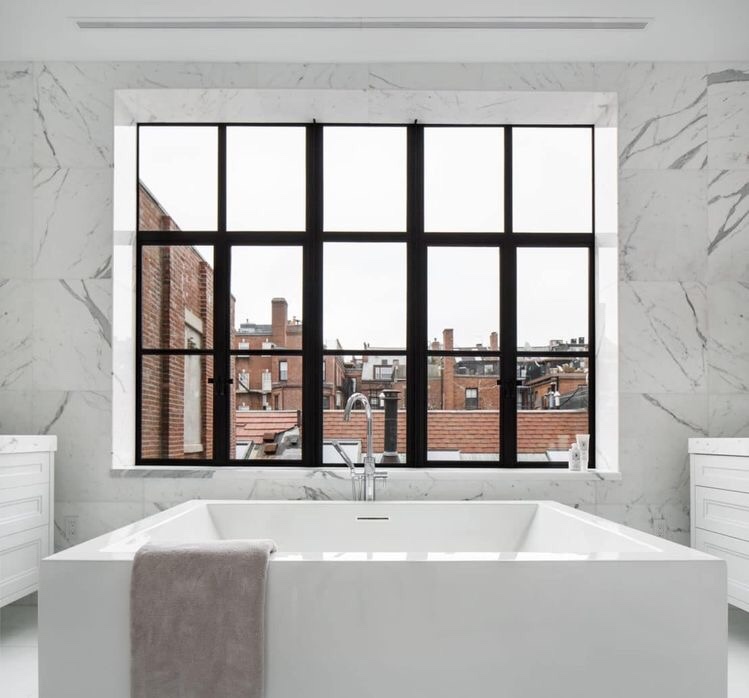 The project underwent extensive historic review and is designed to be a modern interpretation of the Beacon Hill aesthetic that is present among the adjacent and surrounding architectural details of the neighborhood.